As I mentioned yesterday my Christmas baking extravaganza has commenced! 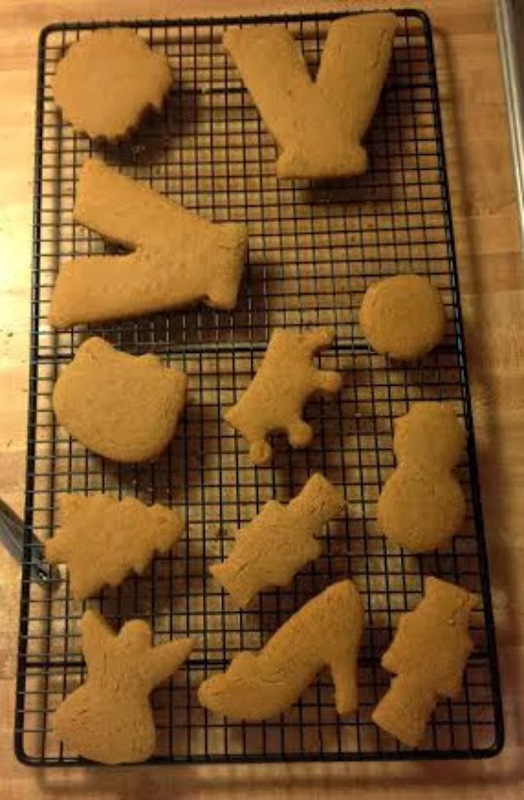 Gingerbread cookies are a favorite of mine so I thought that they would be a good starting point. Also my mom had the day off so I thought it would be fun to have a buddy to roll them out with! I was right & my mom, sister, & I had so much fun making them. 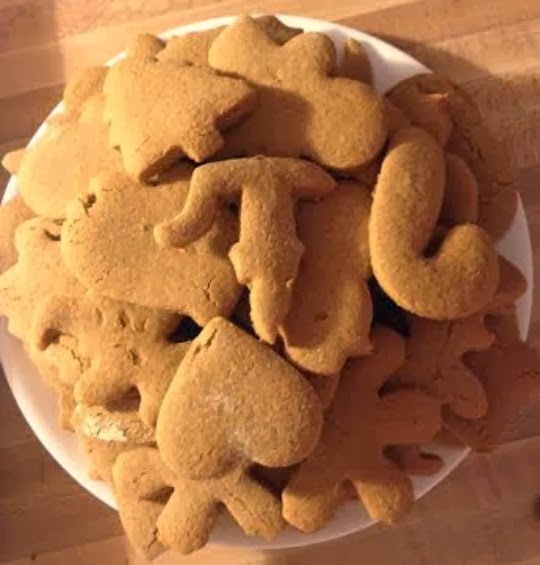 This recipe is seriously delicious & if you like gingerbread, you will love these. 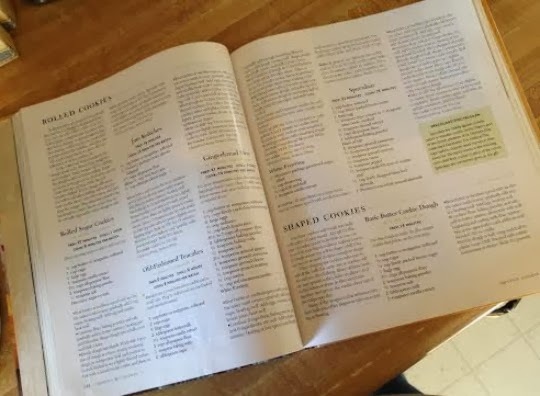 This is a recipe for regular cookies, but I just swap out wheat flour for my gluten free flour to make them gluten free. 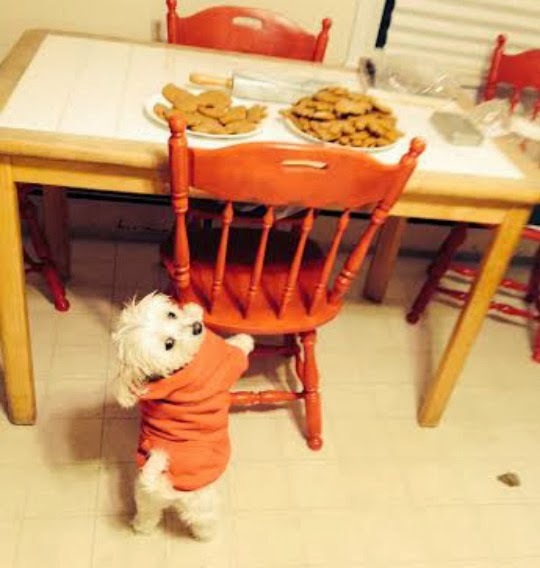 They're so good even Coco wants some! 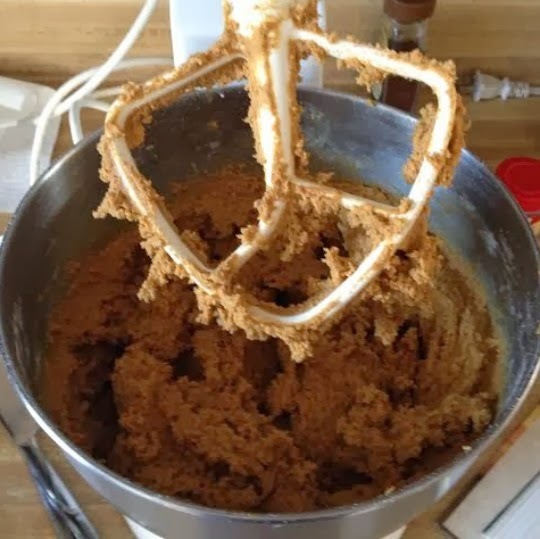 Instructions: -Beat butter on medium speed until creamy; gradually add brown sugar, beating well. -Add eggs, molasses, & lemon juice, beat well. 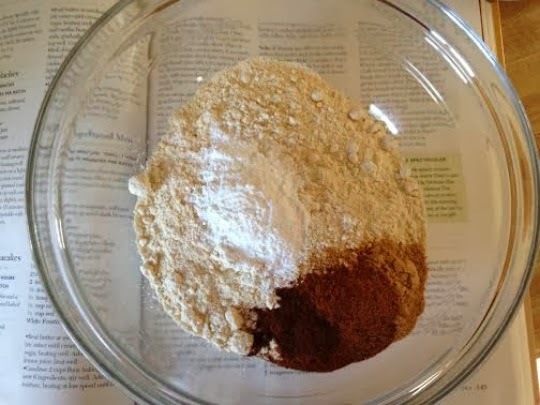 -In a separate bowl combine 2 cups flour, baking power, baking soda, salt, ginger, cinnamon, cloves, & nutmeg, stir well. 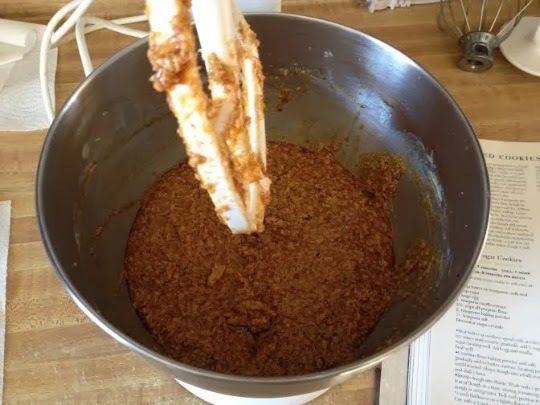 -Add flour mixture to the butter mixture, beating at a low speed until blended. -Gradually add enough remaining flour to make a stiff dough, mixing well. (I use the full 7 cups for mine.) -Shape the dough into 2 balls, dust your hands with flour so the dough does not stick. Cover each with plastic wrap & chill for at least 1 hour. 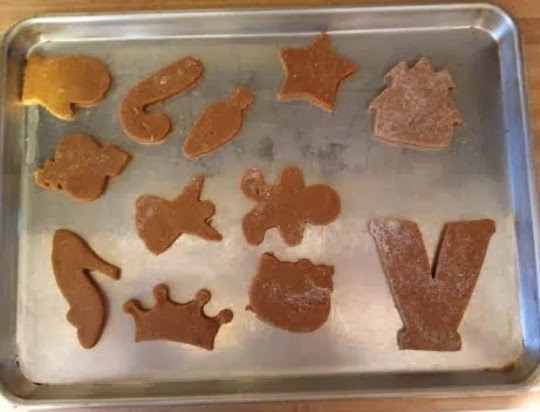 -Roll out cookies, dusting hands, surface, & rolling-pin with flour to avoid sticking, cut with cookie cutters & place on cookie sheet. -Bake at 350 degrees for 10-14 minutes or until golden. -Transfer from cookie sheet onto wire cooling rack. -Cool & enjoy! More recipes will be coming, nothing puts me in more of a baking mood then the holidays! What do you bake this time of year? Mmm love gingerbread cookies. All the fun shapes are so cute! Yummm!! 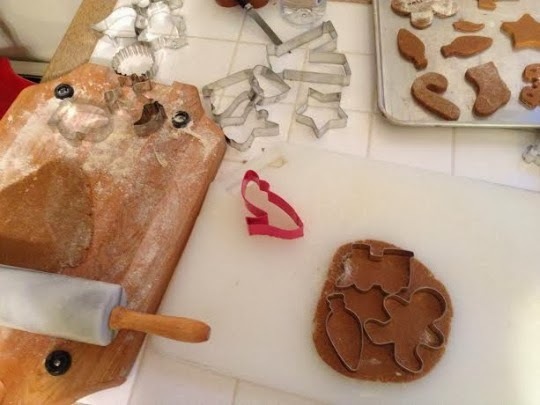 I love gingerbread cookies but for some reason never make them myself. Going to try this easy recipe! Yum! 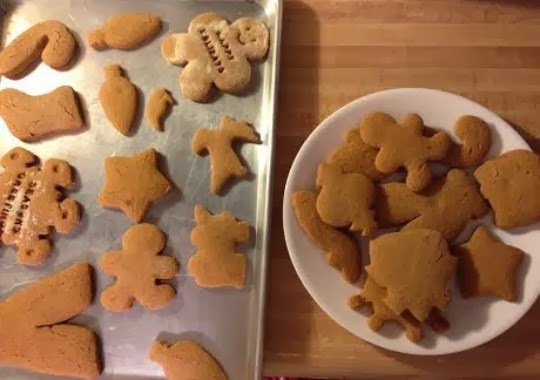 I haven't made Gingerbread cookies in years! I love them! Thanks for posting the recipe! Gingerbread is one of my favorites and we are planning to bake cookies this weekend, so I'll have to pick up these ingredients! These look so delicious! Can't wait to try this recipe out! These look so yummy! Wish I had some molasses in my cupboard. I would have made them tonight. YUM!!!! Just looking at these are making my mouth water. LOL.. I love all the shapes that you did. I really need to try this out. Thanks babe! Good idea, I hadn't thought of using gluten free flour. 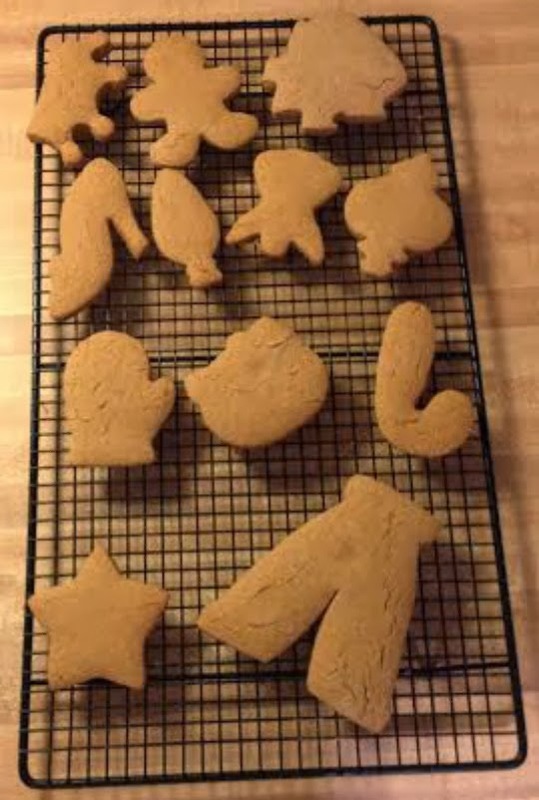 I was going to skip out on making christmas cookies this year. I have to re-consider now! Thanks for sharing! Mmmmm they look sooo delicious. And perfect for the holidays! !